Christmas Ornament received and sent..
Just a couple of pictures. One is the Christmas Ornament I stitched for Chris (I'd Rather Be Stitching), finally this was received at its destination but unfortuantely it was posted over two weeks ago and got stuck in the mail... 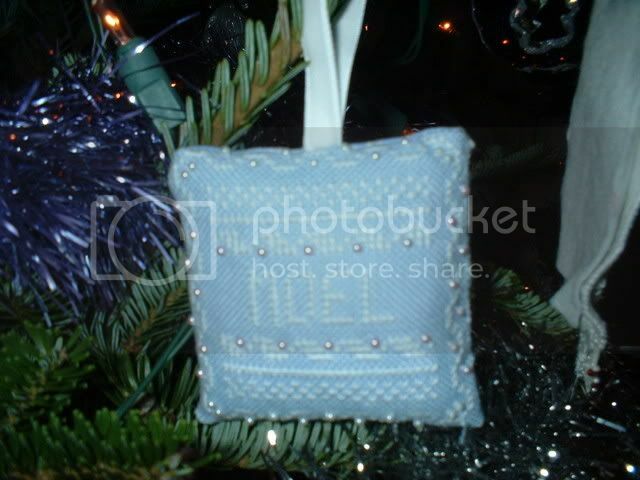 It's at times like this I really hate the UK Royal Mail postal service, it goes from worse to diabolical..
My Christmas Ornament I received from Rosa (SaumaDut)., unfortunately I haven't got a picture of this but as soon as I find my camera I will take a pic and post it on here. Rosa also sent me a couple of other goodies which included a lovely tealight holder in christmassy colours and a wooden ornament of an Icelandic christmassy person. Out with the old and in with the new..